Please note this article was first published in 12 Nov 2013. Its content may now be out of date. We recommend taking a look at more recent website building blog posts or check out our comprehensive support pages. If you are looking for information on our 14 day free website builder trial we have a large number of webpages that guide you throug the process. Many business owners and website builders don’t just have the one website for their online company these days, but quite often there are several websites associated with one company. Different websites specialising in certain areas of a multi-faceted business can offer many benefits to customers, internet users and business owners alike. What are the benefits of more than one website? Firstly, if a business has several strings to its bow or targets very different markets, then specific websites looking after certain areas of a company can make the process of finding what customers are looking for far simpler. More detailed information can be included on specifically designed websites when the product list is more exclusive and specific without overloading the web pages too much. Information such as; background history, feedback, product history, unique sales points, incentives, qualifying information, motivational data etc., etc. A website with too much information on too many types of products is too much for the average internet user to take in. Having more than one website means having more than one domain benefitting from Reason8’s extensive and ongoing Search Engine Optimisation expertise. Also by linking the websites together each website is individually attracting traffic and driving it to and from the other associated sites. It’s a bit like having an enormous fishing net and then sharing the catch! 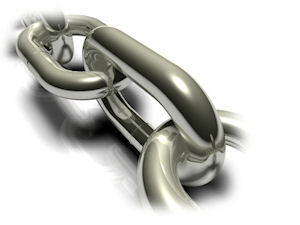 Choose where on your sites you will feature the link to your other site(s) and open the editor on that page. Type an introduction to the link or simply the company name or you could even add a logo image for that division or your sister company if you have one. Highlight the text / select the image then click the yellow Insert Link button. Choose webpage > external webpage > enter the website address of the other website > choose yes for “Open in a New Window” click Add to website. 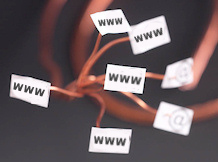 As an extra boost and to secure closely matched domains, you could have more than one domain pointing at one website. You are protecting your domain by securing similar ones, such as, the .com, .net, .info etc, versions of your domain (if they haven’t already been taken, of course!) and it gives internet browsers more chance to find you and helps more potential customers become active customers. Domain names still only cost around £3 a year for a .co.uk and around £10 a year for a .com or a .net. You can take advantage of them being so cheap to secure other domains for your website. Internet users can find your website by entering keywords or a key phrase into their internet browser address bar rather than using their search engine’s search bar – this is called Type-in Traffic. It can be very beneficial to secure multiple domain names that describe your business in different ways and feature your different top key words. As an example, if a company sells lollipops; their primary domain may be TomsLollipops.com but they can attract type-in traffic from other domains such as: sweetlollipops.com, kidslollipops.com, sweetsandconfectionery.com etc., etc. You can search for additional domain names through your control panel. Just click the “Upgrade - Add New Features” button on the left, then click “Register another Domain Name” and use the search bar to see what’s available. Please remember, this article was first published 12/11/2013. The content may be out of date and you cannot post comments any more. Please check out our new blog.